I can't believe that we have come to the end of July already! 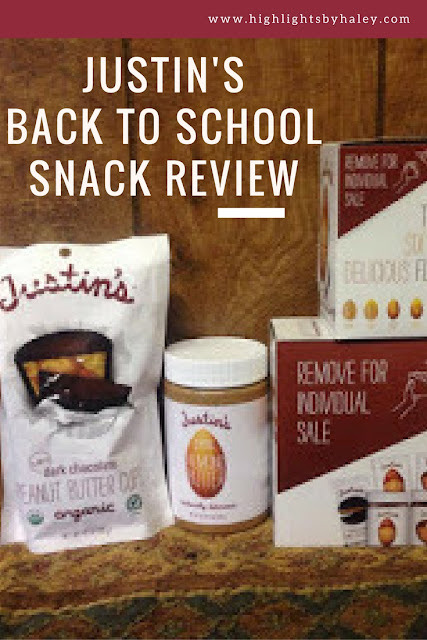 That means that August is here and Back-To-School time is just right around the corner. So if your kids are like mine they are freaking out over every little thing from a backpack to a pair of socks. 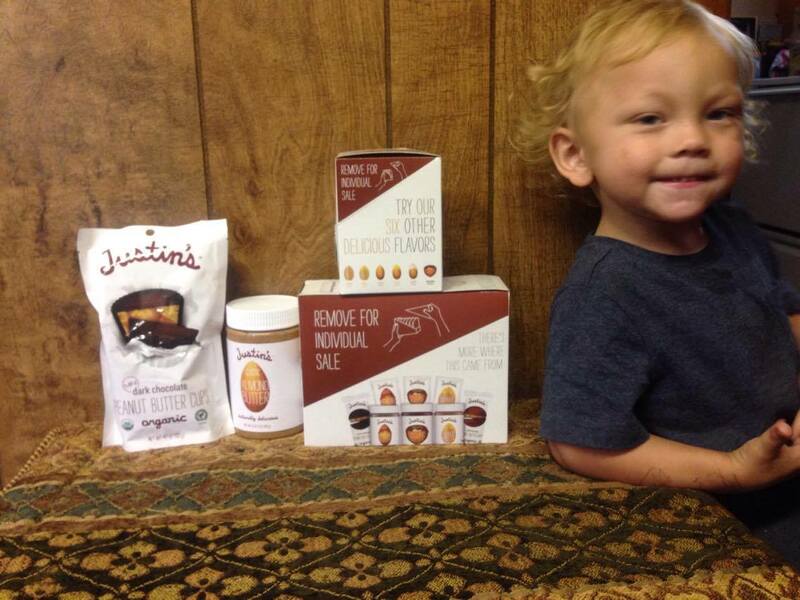 But us as parents are evening thinking of right down to the best snacks for our kids so I wanted to share with you all what I found in the snack department. 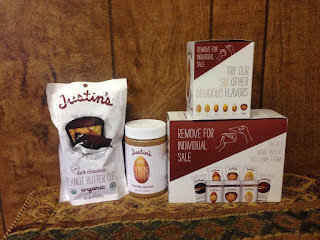 Justin's a man on a mission in his own kitchen, Justin’s has become well known for their delicious nut butters that pack a punch for flavor and provide the fuel needed for an active lifestyle while using half the sugar than competitors! 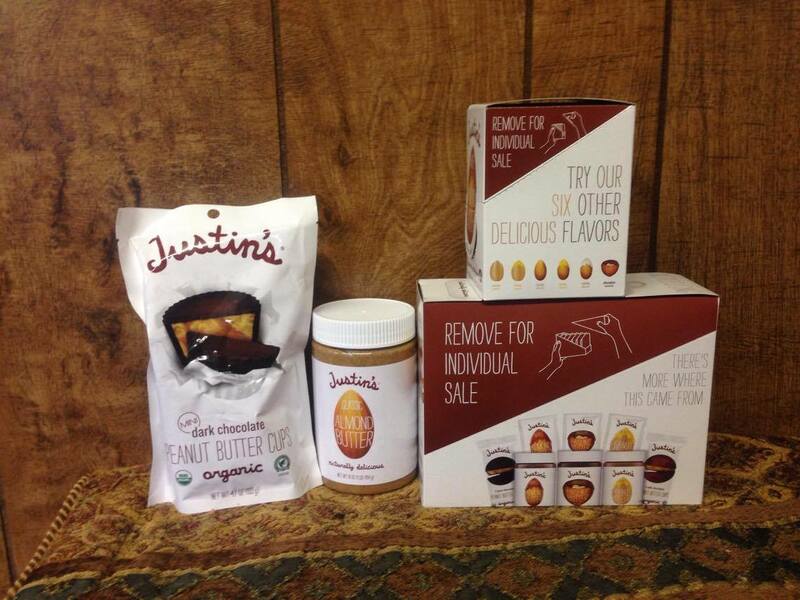 Now, in addition to their Nut Butters and Peanut Butter Cups, Justin’s is now offering a line of Snack Packs. These little Snack Packs are super easy for on the go snacking for before or after school or even at work for adults! Head over to Justin’s to see for yourself the great selection of products they have to offer. 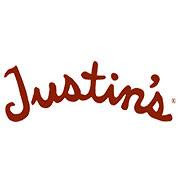 Don’t forget to like Justin’s on Facebook, follow them on Twitter and Pinterest, and Instagram for all the latest news and promotions.